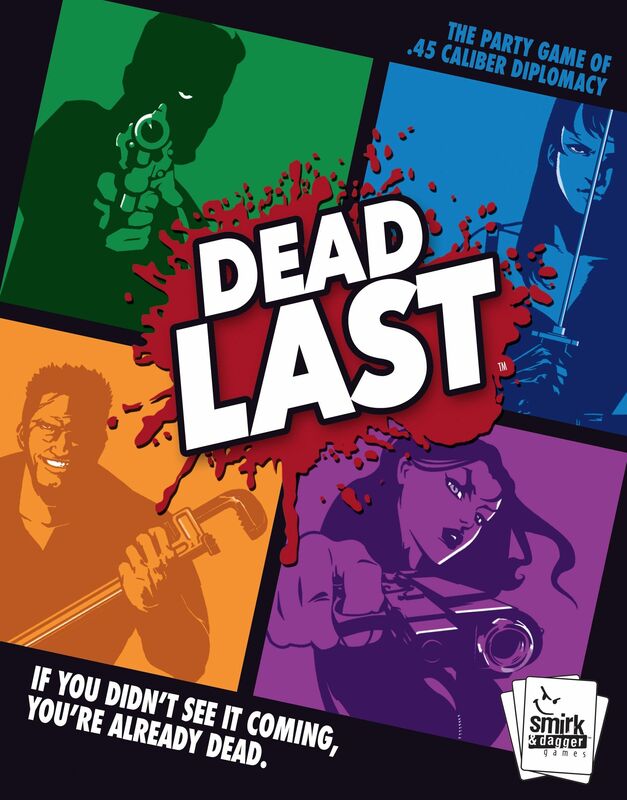 Dead Last — originally known as Tontine — is a "social collusion" game of shifting alliances, betrayals, and murder for profit in which players must conspire and vote upon whom to kill each round. Any means of overt or covert communication is allowed — a glance, a nod, pointing under the table, flashing a card, anything – but make sure you don't tip off the target or they could ambush you instead! In the end, one or two players will remain, either claiming all the gold or squaring off in a final showdown before starting the next round of play. The first player to score 24 points of gold wins. Thematically, the inspiration for the game is one of the oldest pulp fiction/detective novel tropes: the Tontine, a financial investment that accrues, but pays out only to the last surviving member of the group. This practice is now largely illegal as it famously had the tendency to lead to murder.